Magento is the eCommerce software platform, which allows you to create online shops and powerful online applications. Magento is an open source solution that is freely available to everyone. If you are having trouble finding a Magento Theme, this article is a fully collection that you can find a Quality Free Magento Theme or a Professional Premium Magento Template. SKU is not only designed with unique & modern design but also built based on MGS Frontend builder theme and tons of useful extensions. So, SKU certainly meets & fits any kind of e-commerce websites which you can think of. Onestore – Multipurpose Responsive Magento Theme is a the best design magento 2015 last year with full responsive and html5/css3. Onestore is designed with a simple, clean and clear style. The Responsive Magento theme crafted for selling fashion, furniture, accessories products or any other products. 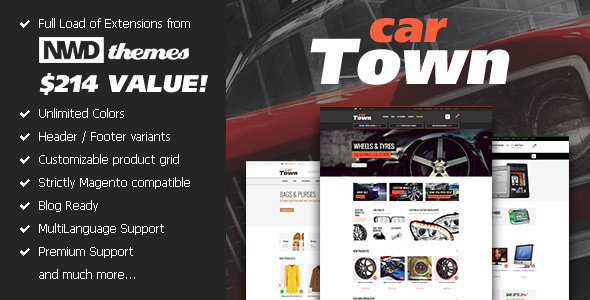 Cartown Premium Responsive Magento Theme is a the best design magento 2015 with full responsive and html5/css3. Being built with Bootstrap 3, Cartown is fully responsive and touch optimized.